One of the fabulous editors I worked under at Red was Saska Graville, I was lucky to do some research for her for an upcoming interview with a pretty inspiring individual. She’s also an author of the popular London Style Guide, which I’ve wanted to get my hands on for a while – curse poverty! 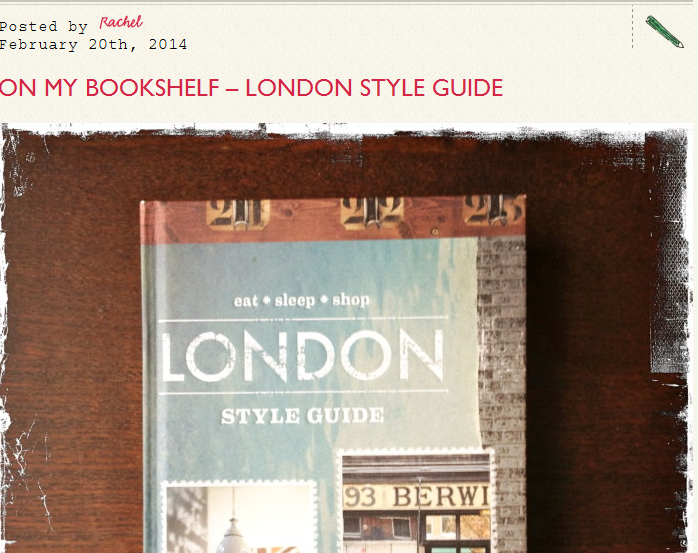 Blogger Rachel Khoo is doing a giveaway for the book this week. It’s for British residents only but well worth entering if you want a editor’s personal take on my favorite city! Incendiary Monday Post – Healthcare, Birth Control, Women’s Roles – Oh My!